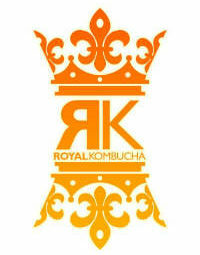 The most notable effect that kombucha has on the human body is kombucha and detoxification. This is mainly due to the glucuronic acid component. Various toxins either from consumption or from environmental sources are absorbed through the lungs,stomach or skin. They combine with the glucuronic acid to form complex molecules which are then voided through the intestines or bladder. such as mucoitin-sulfuric acid which is present in gastric mucous membranes and the vitreous humor of the eye, chondroitin sulfate within cartilage, and finally in the connective tissues as hyaluronic acid. may also have implications for human cellular reconstruction. of growth and decomposition at a cellular level by eliminating toxins from the organism. There is evidence that this contributes to a general strengthening of the cell walls and an improvement of cellular metabolism which strengthens the whole system. Kombucha produces a large proportion of the B complex of vitamins: B1, B2, B3, B6 and B12 together with folic and lactic acids. Glucuronic acid is known to be manufactured in the liver, but those who suffer from long-term illness do not produce it in sufficiently large quantities to assist the body in rapid cleansing that is often a vital part of the recovery process. Its function is to combine with toxins in the body so that they cannot be re-absorbed through the intestines. It follows that glucuronic acid plays a considerable part in systemic detoxification. This is especially important for disease’s that have been in operation long term. Drinking Kombucha And Detoxification of heavy metals has been studied with promising results. Studies prove that when examining body fluids such as urine, it has been shown that people who drink kombucha on a regular basis will expel toxins that have either built up internally as a result of illness or that have been absorbed from the environment. from the body are: cesium, mercury, lead and benzol.